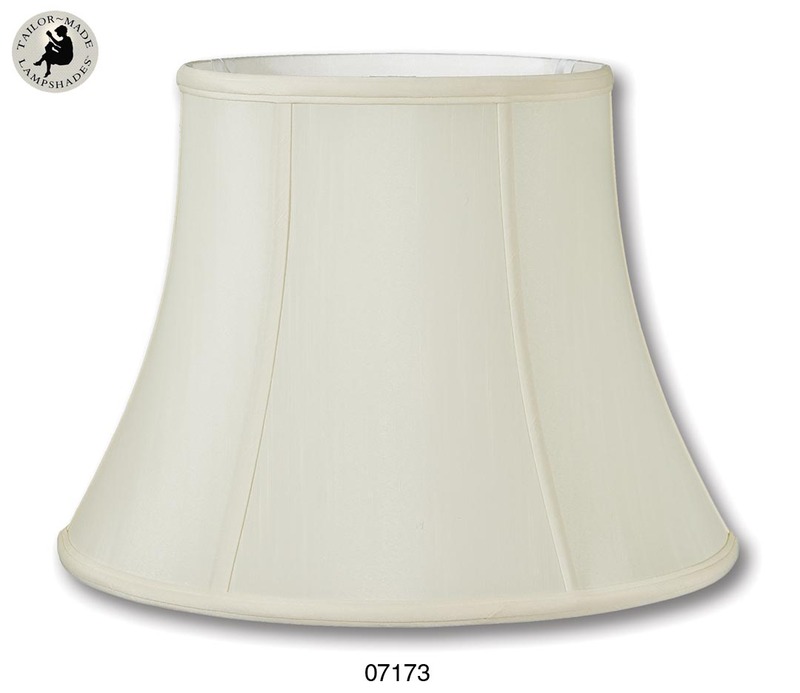 These Deluxe Modified Bell style Softback Shades are made of eggshell color Tissue Shantung material with self double fold trim top and bottom and are available in Off White, Eggshell, and Beige colors. These shades are lined in off-white satin material and have sturdy brass plated shade fitter hardware. Our Tailor~Made Lampshades™ are of the finest quality available and come with a guarantee of your satisfaction. All sizes are in inches. No reviews yet for the Eggshell Color Deluxe Modified Bell Lamp Shades.